As promised, gone but not forgotten Canadian screamo crew Alexisonfire are serving up a series of discography-exploring/explaining videos surrounding their upcoming vinyl box set. Naturally, the only band ever are starting things off by summing up the goodness of their 2002 self-titled debut. Throughout the clip, the band wax nostalgic on the era surrounding the LP, explaining how early copies were initially hand-wrapped and signed and sold for $2 before getting a proper release, or how the record was tracked in a number of studios around Toronto. "It was kind of a real Frankenstein recording," vocalist George Pettit explains. You'll find all sorts of high-kicking, guitar-swinging early footage wrapped around the group's tour tales and summary of their first-ever video shoot for the album's "Pulmonary Archery" in the player down below. 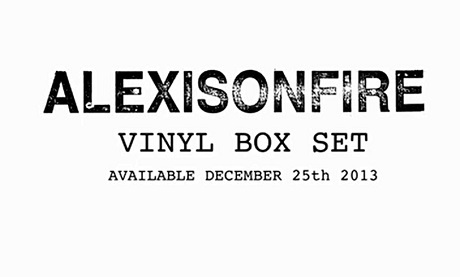 As previously reported, Alexisonfire's deluxe vinyl box set officially goes on sale December 25 over here.